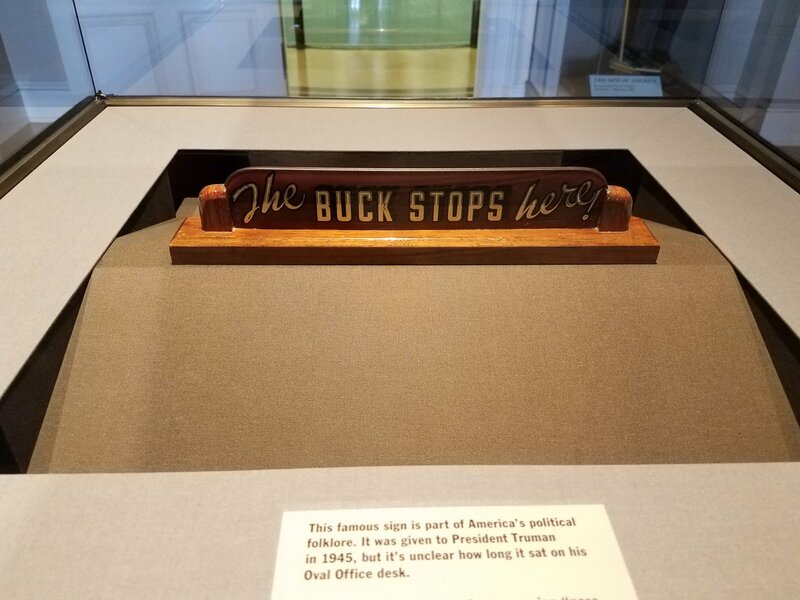 The Harry S. Truman Presidential Library and Museum in Independence, Missouri is a tribute to the legacy of the 33rd President of the United States and the world-changing events that occurred during his presidency. He served as Vice President to FDR for only 82 days before becoming the President after Roosevelt’s death. His tenure as President included the use of the atomic bomb against Japan, the end of World War II, the rebuilding of Europe, and the beginning of the Cold War. 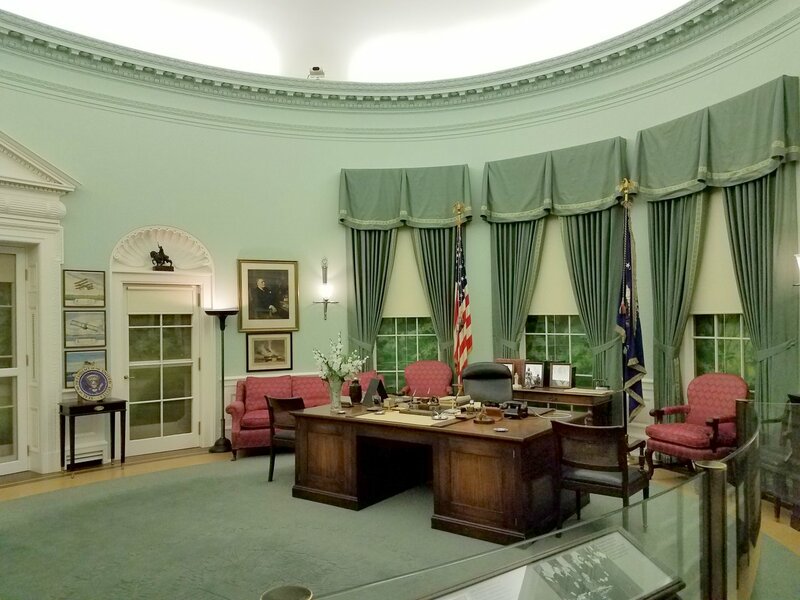 Museum exhibits cover the major events of his Presidency and biographical displays about his life before and after. 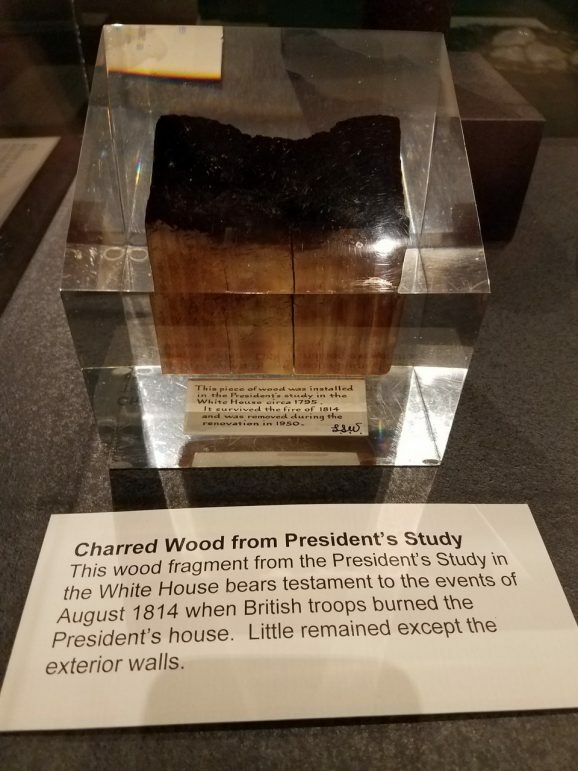 My favorite exhibit was about the rebuilding of the White House during his presidency. This major renovation was prompted after President Truman nearly fell through the ceiling while taking a bath. White House staff had joked for years about the “ghosts” in the residence, which caused the drapes to sway, doors to close, and creaking noises. It turned out that the place was falling apart and the slow collapse of the structural supports was the cause of the “ghost” phenomena. The entire inside was gutted and rebuilt, leaving only the outer walls from the original structure. The rebuilding included the underground levels with the protective bunker that’s there now. 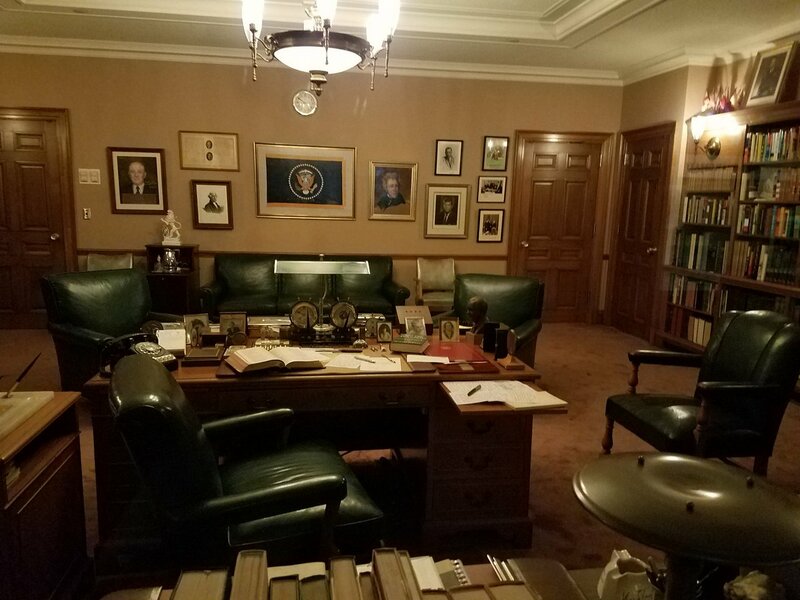 The Presidential Library contains his personal letters and diaries, official papers, and historical documents and artifacts related to his presidential term. The site also contains the final resting place of both Harry S. Truman and his wife Bess.